Ready for duty! 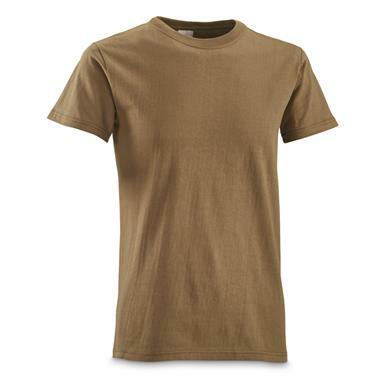 Get this 6-pack of Peruvian Military T-shirts for everyday wear. T-shirts are made from 100% cotton that's lightweight and comfortable. Plus, you get 6 T-shirts for 1 low price — a way better deal than you'll ever find on the civilian front. Peruvian Military Surplus T-Shirt, 6 Pack, New is rated 4.0 out of 5 by 1. A classic line from a classic movie.